The Peterborough Centre for Young Musicians (PCYM) is an exciting venture for the region’s talented young musicians aged between 5-18 years. Professional ensemble tuition is offered in association with the prestigious Guildhall School of Music & Drama. The Centre provides a comprehensive package of training, developing key skills in regular practice, instrumental and vocal technique, musical analysis and performance. PCYM delivers a high quality centre of excellence, making Peterborough the regional destination for music tuition and performance skills. If you came to our open day on Saturday, I hope you had a fantastic time. We had a great morning! PCO has now been going for over a term and we continue to go from strength to strength. Our first performance will be on Friday 29 June as part of the Ken Stimpson Community Evening. The evening starts at 6.30pm and we look forward to sharing the stage with some other great community musicians. Here are some rehearsal shots of us 'in action'. 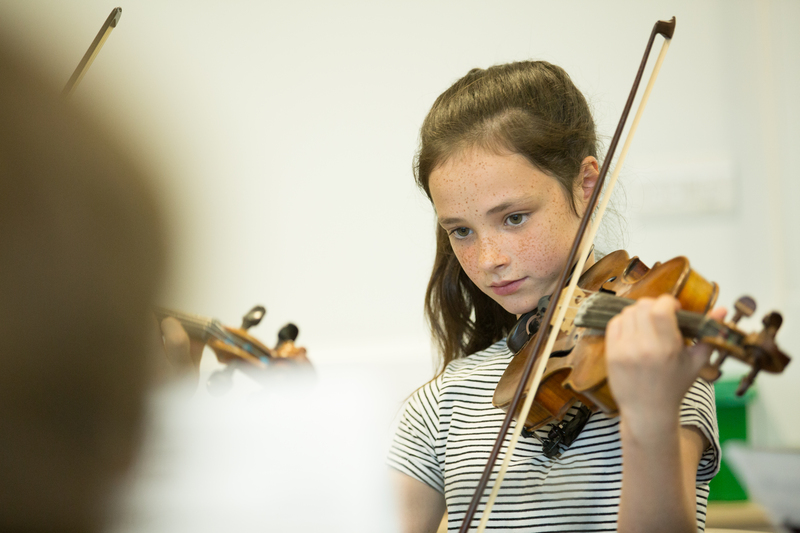 Applications are now open for the PYO Summer Courses including two new ensembles.